On October 17th, 1988, I produced my first performance event under the newly founded Zakros InterArts with a retrospective evening of music theater works from the legendary San Francisco Tape Music Center. The event took place at the historic Victoria Theater in San Francisco, where legend has it that Enrique Caruso sang just before the 1906 San Francisco Earthquake. 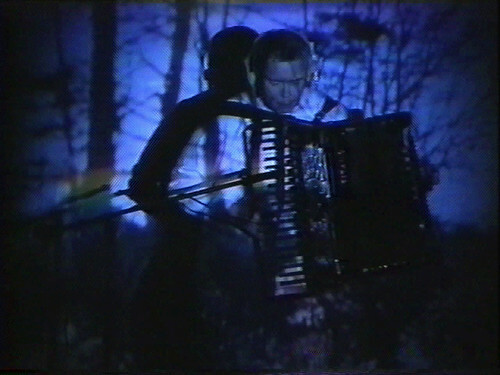 Fast forward to the late 20th century, my intent was clear: I was interested in unearthing another obscure bit of San Francisco history, the San Francisco Tape Music Center, comprised of a collective of composers, artists, and engineers, who were seminal in the creation of electronic music and new forms of multimedia performance art during the 1960s. One of the great interdisciplinary efforts of the time, composers Ramon Sender, Pauline Oliveros, Morton Subotnick, together with visual artist Tony Martin, were among the first media artists to work in the new form of electronic theater, concurrent with the “Happenings” that were all the rage in New York City at the time. 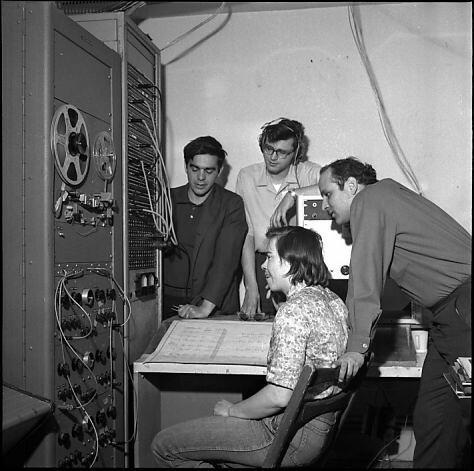 Another member of the collective, Don Buchla, was commissioned to create one of the first modular synthesizers (2nd only to the Moog Synthesizer), which placed into the hands of musicians the tools for generating new forms of electronic music. 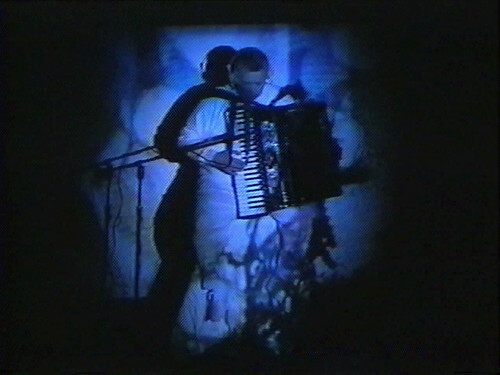 This West Coast movement of electronic art had remained almost entirely unknown when I decided to embark on a research project to resurrect a few of the key works created and performed at the SFTMC while they were located at 321 Divisadero Street in San Francisco between 1963 and 1966. 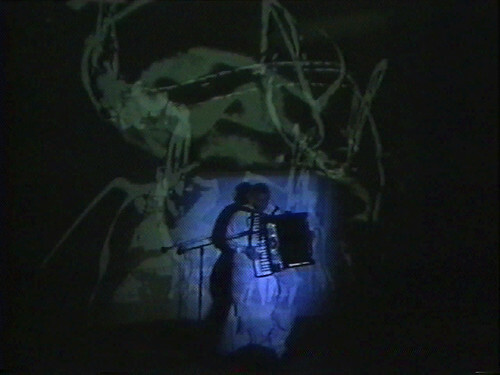 Two of the works performed that night are documented below: Desert Ambulance, composed by Ramon Sender and visuals by Tony Martin, with Oliveros dressed in white as a projection surface for film, slide, and liquid projections; and Duo for Accordion and Bandoneon with Possible Mynah Bird Obbligato, created by Pauline Oliveros, and performed by the composer on accordion together with composer Gordon Mumma on bandoneon. 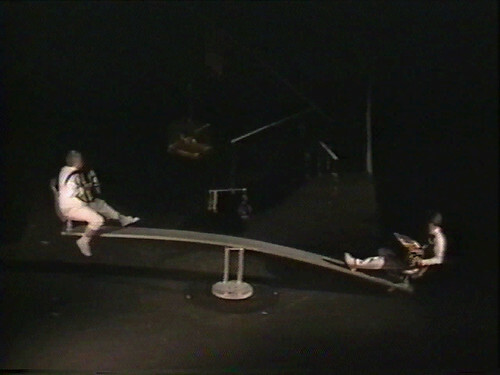 While not an electronic piece, the work playfully suggests ways in which music, sculpture, living creatures and gravity all unite to form a new kind of interdisciplinary performance work. 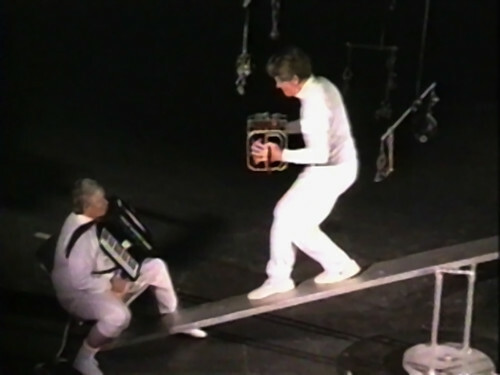 The event brought together the original artists, along with a diverse cross section of the Bay Area arts community in great appreciation (and amusement) of the extraordinary work that set the stage for multimedia forms to come. 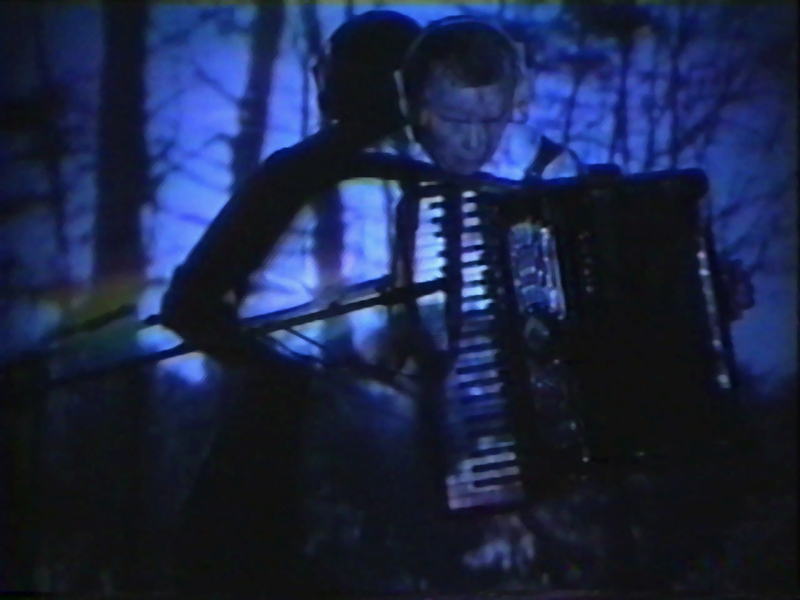 It certainly served as a catalyst for my own work as a composer and multimedia artist. 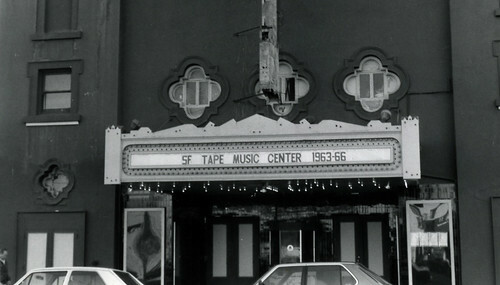 The Victoria Theater was the location for the San Francisco Tape Music Center Retrospective, October 17, 1988. The first event of Zakros InterArts. The original studios of the San Francisco Tape Music Center (c. 1964). 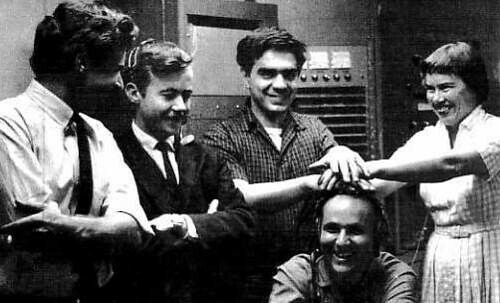 From left to right: Ramon Sender, Pauline Oliveros, Morton Subotnick, and unidentified engineer in background. 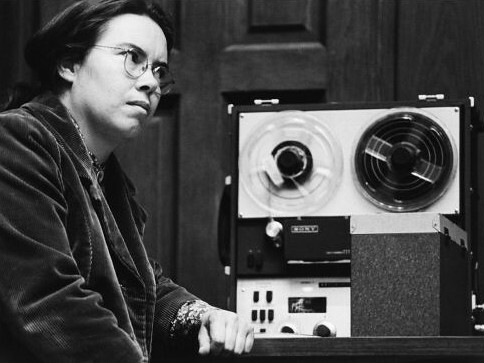 Pauline Oliveros with a Sony reel-to-reel tape recorder at the San Francisco Tape Music Center (c. 1964). Preparation for the retrospective performance of Desert Ambulance (1964), composed by Ramon Sender and performed by Pauline Oliveros. Desert Ambulance was composed by Ramon Sender and performed by Pauline Oliveros with projections by Tony Martin. 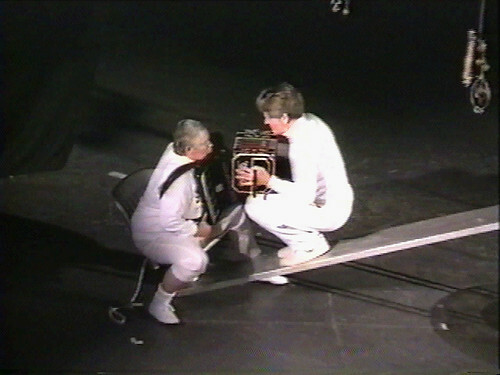 Duo for Accordion & Bandoneon with Possible Mynah Bird Obbligato (1964), created by Pauline Oliversos is performed by Oliveros (left) and Gordon Mumma (right). 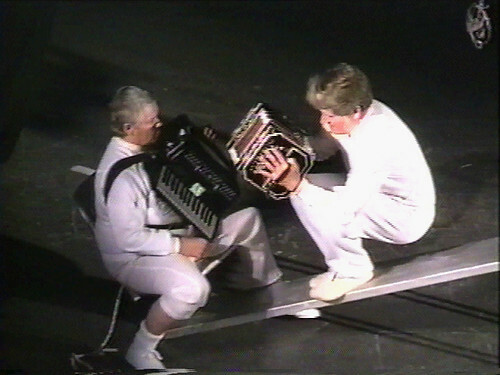 Duo for Accordion & Bandoneon with Possible Mynah Bird Obbligato, created by Pauline Oliversos is performed by Oliveros (left) and Gordon Mumma (right). 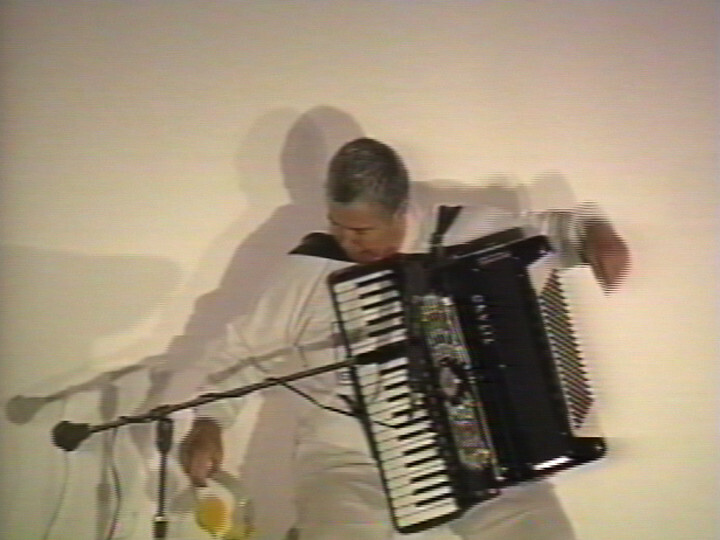 Excerpt from Desert Ambulance by Ramon Sender is performed by Pauline Oliveros at the San Francisco Tape Music Center Retrospective, October 17, 1988. Visual projections were created by Tony Martin.